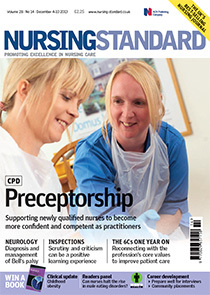 Nursing Standard is a scientific journal published by the RCN Publishing Company/Royal College of Nursing. In this LINK you can submit your own articles and search for papers on FGM. This entry was posted in Journals on December 11, 2013 by gmartinezgabas.